Adelina Large Coffee Table for Your Home. Chic Walnut Finish. Create a fresh spot to set your morning cup of coffee with the Adelina Contemporary Large Coffee Table’s industrial chic design. 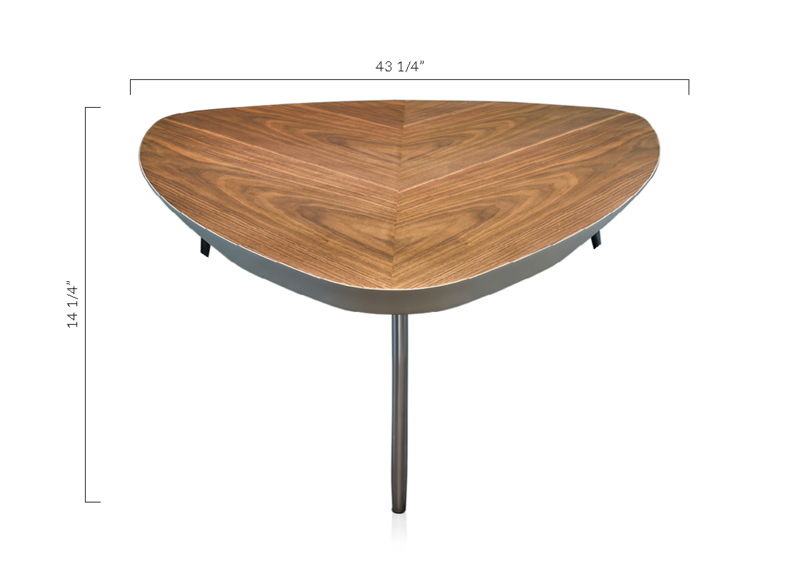 Made with simplicity in mind, a walnut finish, curved matte edges, and metal legs come together as a centerpiece in your living room. Pair it with the Emiliano Sofa for a completed set. This coffee table also comes in a smaller size. L: 43 1/4" * W: 43 1/4" * H: 14 1/4"